The new Masterpiece Series has been revealed! 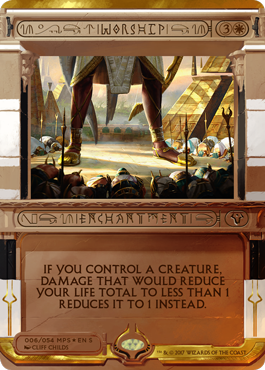 Amonkhet brings us Amonkhet Invocations, a mixed grouping of cards that have, more or less, an Egyptian feel. Given that everything in Magic: The Gathering is essentially spells, I suppose almost any card could fit the bill with this theme. At least they threw in a sphinx and some spells that would naturally fit it. Of course, all of the art has been overhauled to even further add flavor to the series. So there they are in all their controversial splendor! These are only the non-Amonkhet specific Amonkhet Invocations. I will update this entry when the rest are revealed. I really like some of the selections. Daze, Dark Ritual, Mind Twist, and Vindicate among my top! A lot of people are citing the design as mimicking the Yu-Gi-Oh! card game, one of competition among the CCG world. Unfortunately (or fortunately?) I have no clue about the rival card game series, so I can only assume it is in reference to card border/design and not the actual art featured on the new cards. I decided to not be completely lazy and scrounged up a random Yu-Gi-Oh! card image. I guess I was expecting more? You could say the new Amonkhet Invocations are... blockier? In color? Maybe everyone is referencing a different, newer Yu-Gi-Oh! card frame I didn't come across with my simple Google search? Otherwise I don't see how the new Masterpiece Series card frames are in any way closer to being indicative of Yu-Gi-Oh! design than an altered standard Magic: The Gathering card design. Perhaps someone stopping by can explain the comparison with a bit more detail. Again, I haven't had any interest in Yu-Gi-Oh!, so someone with more familiarity chiming in is very welcomed! Regardless of the hate the new series is receiving, I'm kind of digging them. The card frame design doesn't bother me and I'm apparently ignorant to the direct comparisons to competitive CCGs to know any better. That being said, however, I do have some issue with the chosen text display. I understand it is very thematic, but the hieroglyphic font is incredibly hard to read. Like, having to squint and strain the eyes hard to read. I guess a silver lining here is that they, thankfully, decided against using it for the main box text. That would have been an utter nightmare! 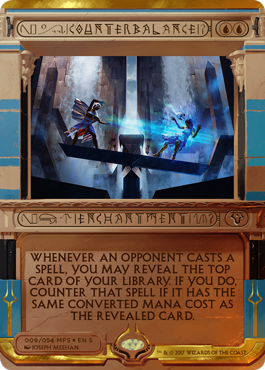 What are your thoughts about the new Amonkhet Invocations? Do you think they look too much like Yu-Gi-Oh! cards? Does the card design completely turn you off from collecting them? Do you think the overall value of the cards will be hindered by the design choice? What's your favorite Amonkhet Invocations card? 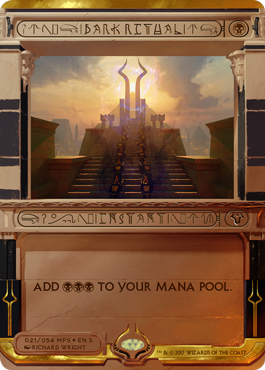 What card(s) are you hoping will be included in the next Amonkhet block Masterpiece Series?